Meringue on top of a brownie – ? 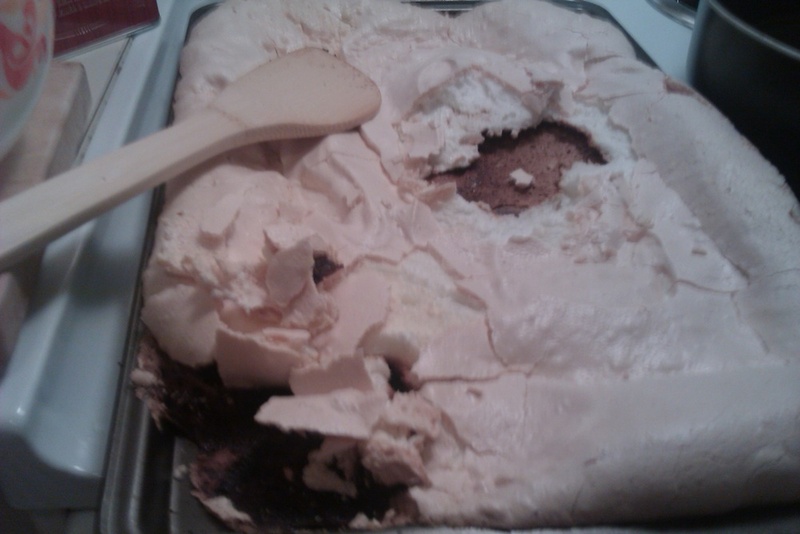 Nope, just meringue. It was going to be topped with whipped cream and berries. Unfortunately, the oven in my apartment is TERRIBLE and I have a hard time compensating for it. Sometimes dropping 50 degrees is all I need to do, sometimes I have to drop temperature and time, sometimes I just need something else in the oven. It’s weird.